September | 2011 | YA? Why Not? 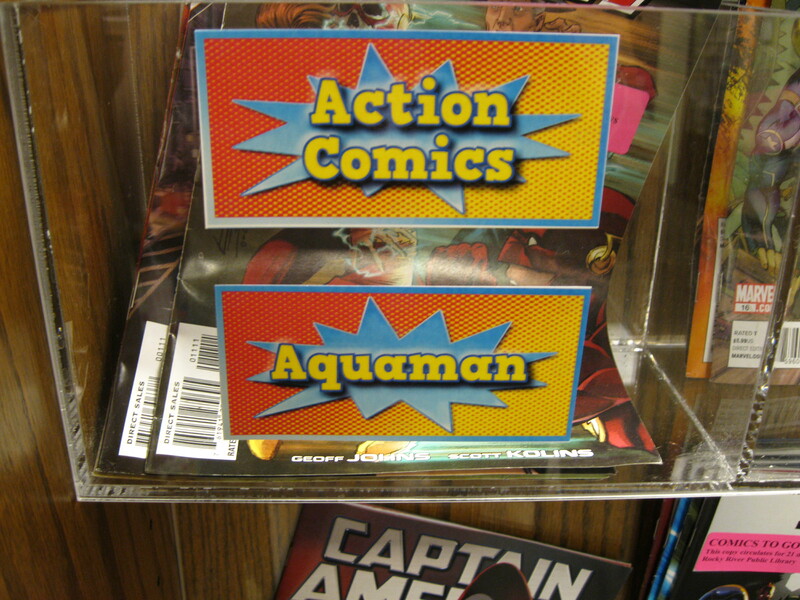 I know I have talked quite a bit about comic books lately, but I just can’t help it. They are all so new and exciting to me. I know, I know, once again late to the party, but I am here now! Now, there are plenty of people out there who know a heck of a lot more about this than I do writing comic book reviews, but I am hoping my newbie status will be charming (or at least not as intimidating. Have you seen some of these sites? Wow!). Anyway. This week I read two of the new 52 from DC Comics. I am dismally unaware of superhero history so I am happy about this relaunch. The heroes and there stories are starting fresh. Barbara Gordon is the daughter of Gotham City’s police commissioner. She is also Batgirl. Issue 1 takes place three years after Barbara was shot and paralyzed during a home invasion by the Joker. Babs is back on her feet, literally, but soon discovers her superhero skills are a bit rusty. While she manages to stop a double homicide, she finds she is not so prepared to deal with The Mirror. 1. Why is Barbara Gordon on The Mirror’s hit list? 3. 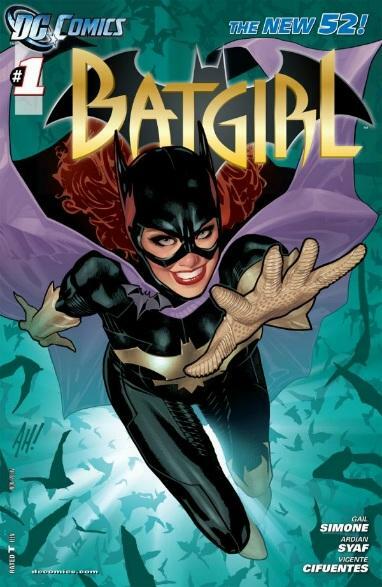 How will Barbara Gordon juggle her new roommate and her secret Batgirl life? I definitely give the new Batgirl two thumbs up. It’s getting late and I am daydreaming about my vacation, so you’ll have to wait to hear my thoughts on the new Justice League. Yay! It’s Top Ten Tuesday again! I have the folks over at The Broke and The Bookish to thank for this weekly bit of list-making fun. This week it’s true confession time (sheepishly shuffles feet). That’s right, here is a list of books that just about everyone else has read but I have not. I have divided my list into two parts-books I am A-OK about not reading and probably never will and books that I really want to read or feel I should read. 1. Catcher in the Rye by J.D. Salinger. Bleh. 2. The Girl With the Dragon Tattoo series by Stieg Larsson. Not for me. 3. Eat, Pray, Love by Elizabeth Gilbert. No thanks. 4. The Golden Compass by Philip Pullman. Sigh. 5. Sookie Stackhouse series by Charlaine Harris. True Blood is enough Sookie for me, though I understand the show is nothing like the books. 7. The Alchemyst (The Secrets of the Immortal Nicholas Flamel series) by Michael Scott. These books are really popular with my teens right now! Ok, I lied. There is a Part 3 to this list. 9. The Vampire Academy by Richelle Mead. I have heard great things, but I am off the vamps for a while. Maybe someday. 10. Ender’s Game by Orson Scott Card. I feel like I should read it, but I might be okay with skipping it. But maybe I should? See? On the fence. That’s all for me today (I am mentally preparing for my vacation). Seriously. September 19th is International Talk Like a Pirate Day. Why not get into the spirit of the day? You could get your own pirate persona using this Pirate Name Generator. I did! The code doesn’t seem to work perfectly, but you get the idea! You can change the language on your facebook page to English (Pirate). I did! 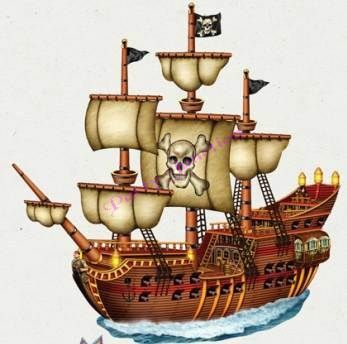 You can translate your homework into pirate speak using this English-Pirate Translator. I don’t miss homework! And of course, I highly recommend you read or listen to an action-packed high-seas adventure tale. Maybe Bloody Jack by L.A. Meyer? My fave! Or some really cool nonfiction? Try A Thousand Years of Pirates by William Gilkerson. Ok all you scurvy bilge rats and kind readers, that is all from me. Have you seen the new Aquaman? 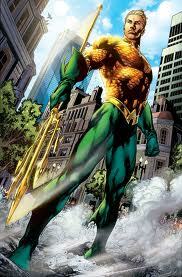 The new Aquaman starts September 28th. I’ll be checking that one out! That’s not the only new title in the collection. 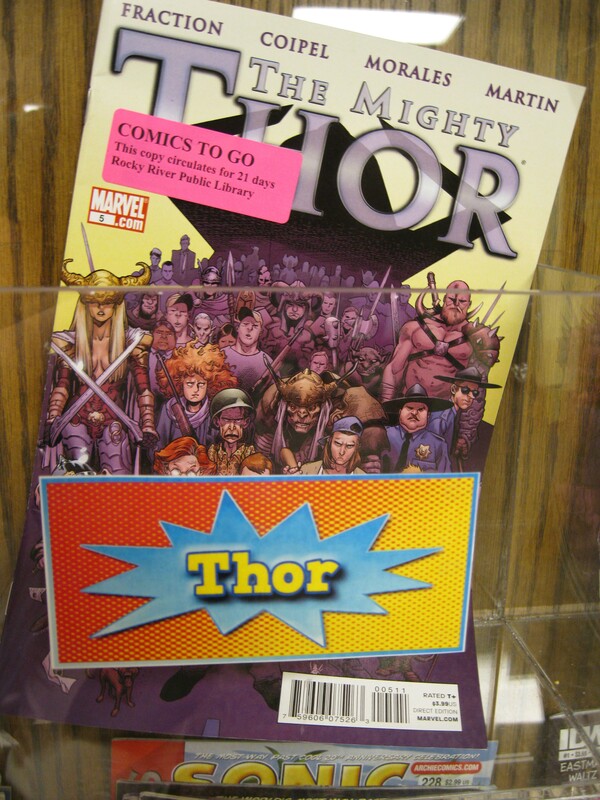 I hear that Thor, the movie is awesome. Why not start reading the comic? How about some Captain America action? 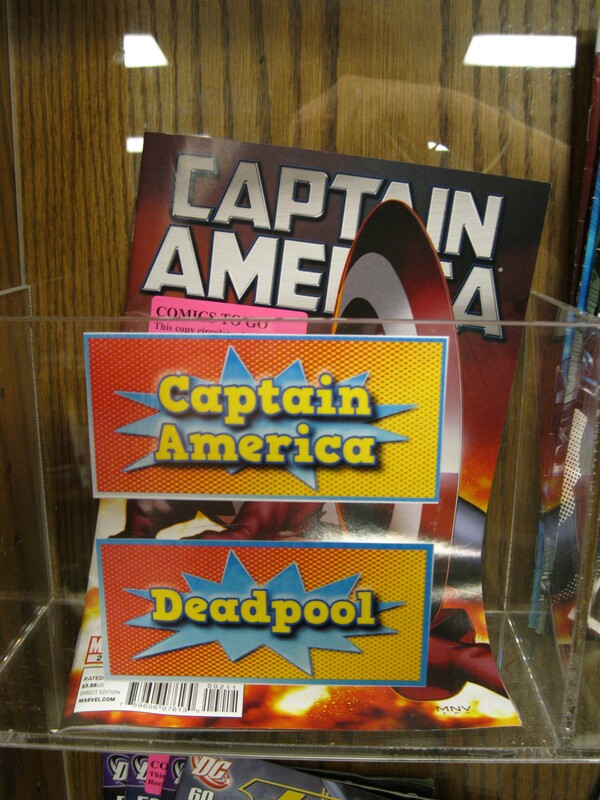 Are you familiar with Deadpool? Talk about a crazy back story! 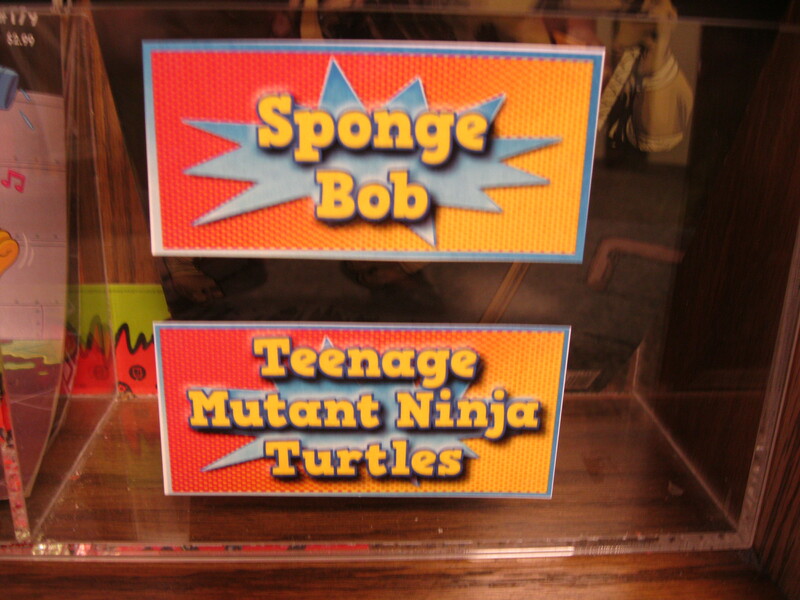 I’ll confess, I’m pretty excited about Teenage Mutant Ninja Turtles! Other new titles include Batgirl, Wonder Woman, and Stormwatch. 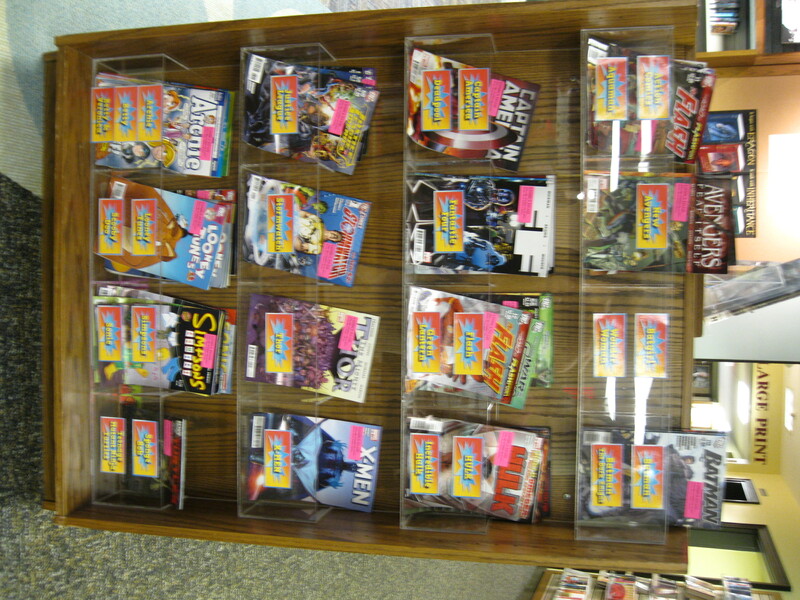 Don’t worry, you can still find Archie, Betty, Betty and Veronica, Looney Tunes, Sonic, and the Simpsons! There’s something for everyone here. This graphic novel HAS NO WORDS! Yes, please. This is from the author of The Invention of Hugo Cabret so it is sure to be a treat. Here is an interesting tidbit: this book is huge! It is over 600 pages long and weighs almost 3lbs (2lbs, 14.8 oz to be exact). I think I want to give this to my book club, so I am rereading it just to make sure. This is the first volume in a new adult graphic novel series. It comes highly recommend, and it is a book with pictures, so it’s going home with me today. I am also taking the new Batgirl comic, a Deadpool comic, and the new Justice League comic and I am waiting for the new Teenage Mutant Ninja Turtles comic. Heroes in a half-shell! 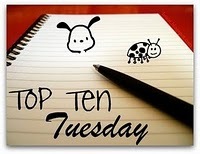 It’s time again for anther Top Ten Tuesday list! Special thanks, as always, to the hosts at The Broke and The Bookish for organizing this weekly bit of bookish fun. In honor of Book Blogger Appreciation Week we are listing the top ten books we read because of a book blogger. This is a tricky one for me. I honestly cannot keep track of where all my book recommendations come from. As a librarian I am constantly reading reviews from both professional publications and book blogs…things blur together after a while. My list would more accurately be called Ten Books I Have Read or Plan to Read Because Of What I Read About Them (Probably from a Book Blogger). But that is a ridiculous title, so here is a list of books. No bells or whistles today, just a list. 1. Divergent by Veronica Roth. Loved it! 2. Anna Dressed in Blood by Kendare Blake. Can’t wait! 3. The Name of the Star by Maureen Johnson. Really, really can’t wait! 4. Wither Lauren DeStefano. Disappointing and weird. 5. The Iron King by Julie Kagawa. A unique take on the fairy world. I will eventually read the rest of the series. 6. Insight by Jamie Magee. This book has been blogged about a lot! It’s on my list. 10. All These Things I’ve Done by Gabrielle Zevin. I have it now! Phineas Gage: A Gruesome but True Story About Brain Science by John Fleischman is anything but dry and boring. 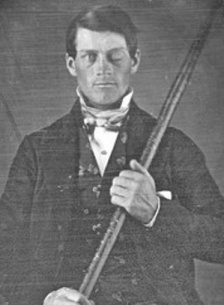 Meet Phineas Gage, a 26-year old foreman of a construction gang. Gage and his crew are responsible for blasting through a granite bedrock in Cavendish, Vermont to make way for the railroad. It’s a dangerous and delicate process because gunpowder is highly unstable. Phineas learns first hand how dangerous gunpowder can be on the fateful day of September 13, 1848. Eyewitness accounts for of the gruesome accident are varied, but the end result is the same: Gage’s tamping iron (an iron bar, shaped like a spear that is three feet, seven inches long and weighs thirteen pounds) sets off an explosion and is propelled into and through Gage’s skull. Miraculously, the man survives, but according to friends and family his personality is completely changed. The book goes on to explore what medical and brain science was like over 150 years ago and the ways in which Phineas Gage’s bizarre accident contributed to science. Here is a daguerreotype of Phineas and his tamping iron. After the accident he was never without the iron bar. Many years after his death his body and the tamping iron were exhumed. Gage’s skull and the tool that damaged it are both on display at the Countway Library of Medicine in Boston, Massachusetts. This book is an engrossing (and kind of gross) read. Scientific terms are defined within the text as well as in a glossary. Photographs and illustrations are plentiful and interesting and an index is included. This book is both an interesting read and an excellent resource for a school report. If you liked this, you might also enjoy Soul Surfer by Bethany Hamilton, How They Croaked: the Awful Ends of the Awfully Famous by Georgia Brigg, and Ancient Medical Technology: From Herbs to Scalpels by Michael Woods, all available right here at Rocky River Public Library.